The photo of this crow is interesting . 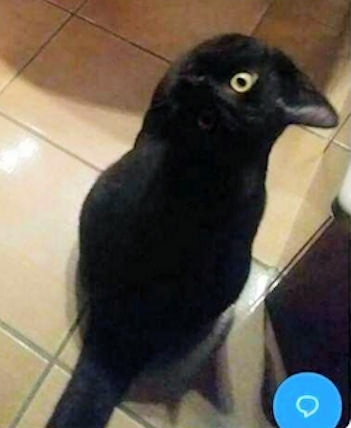 . . because it's a cat and not a crow. I love this crow/cat picture.